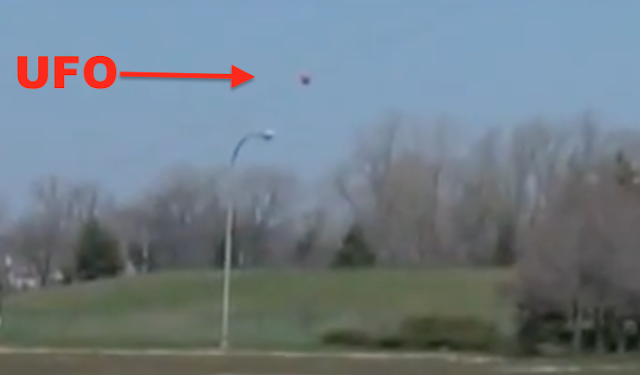 UFO SIGHTINGS DAILY: MUFON Expert Is Oblivious To UFO During TV News Interview, April 2016, UFO Sighting News. 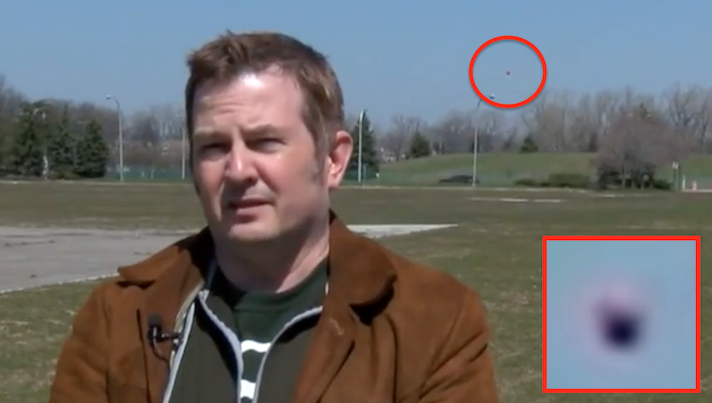 MUFON Expert Is Oblivious To UFO During TV News Interview, April 2016, UFO Sighting News. I was searching for UFO news and accidentally discovered a UFO behind a MUFON expert doing an interview in Michigan. The UFO is a round orb and holds its position over a small hill on the upper right side of the screen. 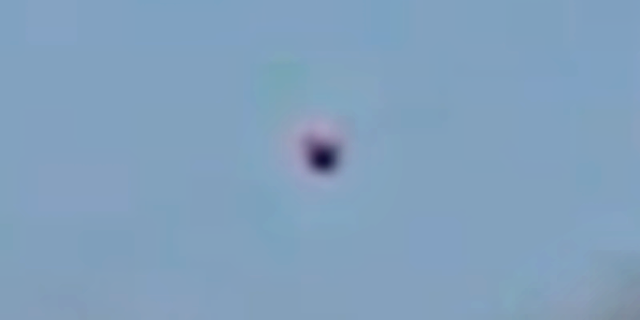 I enlarged it and you can clearly see that its a round UFO orb, similar to the three UFO orbs that were on CNN during the Shuttle Atlantis landing delay years ago. This actually happens a lot. An expert is looking one way, and a UFO shows up behind them. Its happened to me when I had a camera on a tripod on an 8th floor roof, and suddenly saw it 3 meters from me, and during the 2 seconds it took me to flip the camera around, it shot 40 meters away (baseball size, translucent). So, I feel for the guy in the interview, and its a bit funny the News casters never even noticed it or anyone else in the city that watched the news cast on TV. One thing I believe is that alien evidence is all around us, but often we are too focused on ourselves to notice it. The truth is within our grasp. SOUTHFIELD, Mich. (WXYZ) - Do UFOs exist? Many people say yes and many people say no.